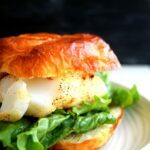 Let me introduce to you super healthy, delicious and satisfying lunch or dinner in under 10 minutes aka a fish fillet sandwich. 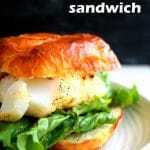 Fish fillet sandwich is one of the easiest, quickest meals you can make. 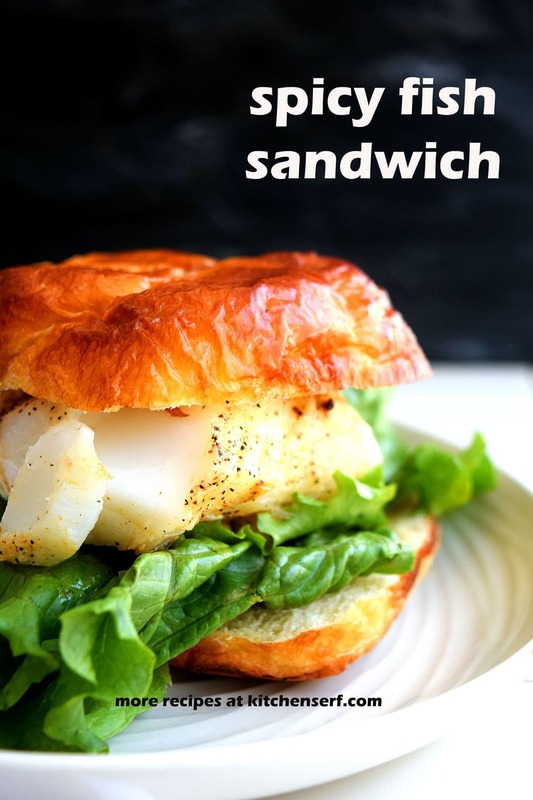 A cod or haddock sandwich is also one of the healthiest meals to make. Fish is packed with protein and has a high level of healthy fats. You can customize your fish fillet sandwich to whatever spices you like or leave it plain. One of the things I love about living in Maine is the access to fresh fish and seafood. When I first moved here, 19 years ago now, cooking fish was intimidating to me. But it only took me a couple of recipes before I was as comfortable cooking fish as I was a chicken breast. In fact, I believe that anything you do to a chicken breast, you can do to a fish. If finding time and energy to cook dinner is a problem for you, fish is your solution. Most fish, unless you’re cooking a thick, meaty piece of fish, like swordfish, cooks well under ten minutes. Fish fillet sandwich is one of the easiest, fastest meals you can make. Not to mention one of the healthiest meals to make. You can customize your fish fillet sandwich to whatever spices you like or leave plain. Because my family likes a little or a lot of spice with their meals, I usually sprinkle a rub on the fish before cooking. One of our favorites is the rub in Easy Garlic Lime Chicken. I prefer the first option-sauteing in a non-stick skillet with a bit of canola oil–maybe a teaspoon or so. Turn your burner to medium low, slap that fillet in the skillet and cook three minutes a side or until the fish is opaque–that means white–if it’s translucent–not white–the fish isn’t cooked all the way yet. Baked Fish Fillet is for you if you want a fast and hands off meal. Line a baking sheet or an oven-safe dish with parchment paper, lay the fillet on it, sprinkle with salt and pepper or seasonings and bake at 350 for 10 minutes. Finally, if you need to have your family at a baseball game in 20 minutes, put the fish in the microwave safe dish, cover with plastic wrap, a paper towel or wax paper and cook on high for three minutes. The Chicago Tribune did a taste test and found that plastic wrap is the best material to use when steaming fish in a microwave however use whatever you have. What Kind of Fish Should I Use? You could also use salmon or swordfish but I think those are fishes better grilled and that’s not what this recipe is about. Add oil to a skillet and heat over medium. Unwrap fish and lay in hot skillet. You may need to slice the fillet in two or three slices to fit, depending on the size of your skillet. Saute for three minutes then using a spatula, flip and cook for another three minutes or until fish is has a golden exterior and sides of the fish look opaque or solid white. While fish is cooking, toast your buns. Remove fish from heat and let rest on a plate for a minute. 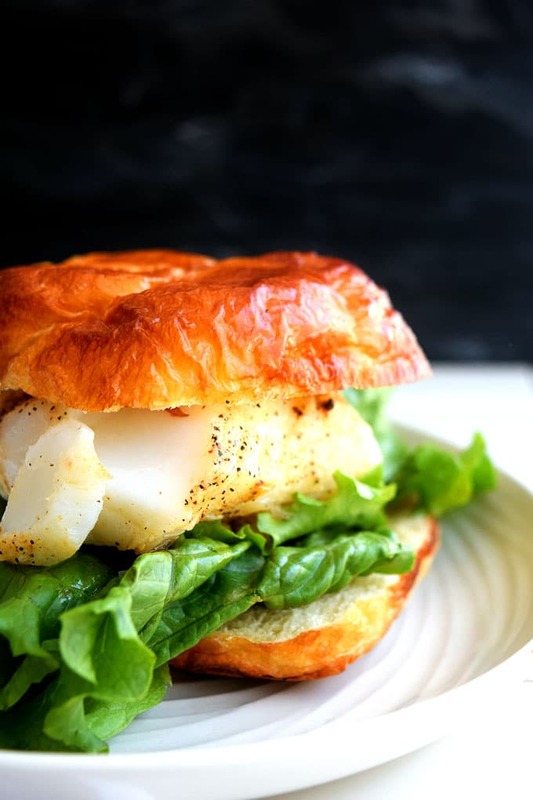 Place a chunk of fish fillet on each toasted bun with a slice of lettuce and any condiment you might want to use. Wrap up any uneaten fish and refrigerate for up to a day. Of course not. Meat comes from animals with hooves. Fish swim in the water. How Do I Know if Fish Has Gone Bad? A piece of fresh fish should have a mild scent. If you unwrap a piece of fish and it’s got a strong, fishy odor and/or the skin is slimy, the fish has gone bad and you should throw it out. How Long Will Fish Last in the Fridge? Keep a piece of uncooked fish in the refrigerator for up to two days. Store it in the coldest section of the fridge-towards the back. 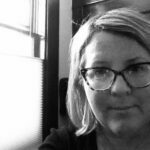 How Long Can I Freeze Fish? Frozen fish will last three months in the freezer.